​neurotoxins and carcinogens to some degree. ​the body within 24 hours becomes toxic. gluten “intolerance” to some degree. (Natural News) If you were to flush a handful of paper towels down your toilet every day for a couple of weeks, you can imagine the immense clogging that would occur eventually, and you would probably need to call in a plumber, after you experience a back up of the toxic toilet water in the pipes and possibly an overflow onto your floors. That polluted water would contain everything that you flushed after the initial clogging occurred, and that means excrement that had been rotting for days and possibly weeks on end. Consider this as a metaphor for gluten. When humans consume “food glue,” our systems get clogged just like plumbing pipes. Any food that stays in our body for more than 24 hours starts to becomes toxic, so even if we eat chemical-free, organic food after consuming globs of gluten, it could all pose a major health problem. Gluten can literally take months to clear from your system. Imagine if your toilet and plumbing pipes were stopped up for months, all while you kept trying to flush more and more waste. Gluten is the sticky, glue-like portion (hence the name) of proteins found in all kinds of wheat, rye, barley and triticale (a cross between wheat and rye). Any food that remains in your body for more than 24 hours becomes toxic to your system. Gluten is used as a binder and a filler, and it is found in thousands of foods, including ones you would never suspect. In case you were unaware, the gluten of today is not the same as the gluten our parents and grandparents ate. That’s because today’s grains are “hybridized” and the proteins are modified to contain weed-killer and bug-killer that causes systemic inflammation in humans. 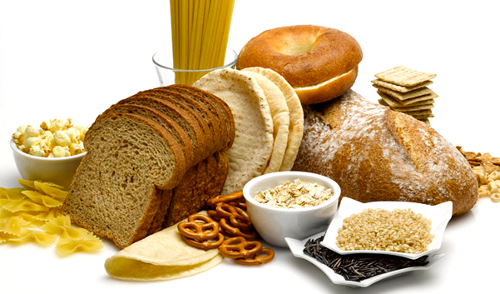 Most conventional gluten is also processed with synthetic conditioners, preservatives and modified flavor enhancers. Today’s wheat has also been deamidated, which means it’s water soluble (convenient for food processing) and causes irregular immune response for many consumers. But those problems are just the tip of the iceberg. Once the gluten reaches your intestinal wall, your gut starts breaking it down, trying to find the harmful substances and producing antibodies to attack them. In this process, your body loses the ability to absorb nutrients and your intestinal walls can become leaky, where dangerous toxins, microbes and undigested food particles literally escape your intestines and enter you bloodstream, traveling throughout your body. Gluten can cause damage to your gut lining, leading to all kinds of infections, including candida, bacterial overgrowth, parasites, and bacterial imbalances. If you eliminate gluten from your food regimen entirely, you are not missing out on any vital nutrients. When gluten sticks to the walls of your intestines, it rots. When it gets caught in divots, it can become cancerous, forming polyps. ​One way to remove these polyps is to use food-grade diatomaceous earth as a supplement. Ask your naturopathic physician or a nutritionist for advice here. Avoiding gluten is a wise choice, but since it’s become such a smart and popular notion, many companies have hopped on the bandwagon for profits, but are tricking consumers into eating other food toxins instead. If you’re looking for the “gluten free” label, also be on the lookout for other food “criminals” like monosodium glutamate (MSG), autolyzed yeast extract, soy isolates, high sugar content, high fructose corn syrup (HFCS), artificial sweeteners (namely aspartame, sucralose and sorbitol), soy and canola. ​Gluten-free bread is often bad news for health enthusiasts because it’s loaded with highly processed and genetically modified ingredients. Want to clean out your pipes (intestines) and stop paying an enormous price (constipation and malnutrition) for flushing paper towels down the toilet (gluten consumption)? Switch over immediately to a plant-based diet that’s gluten-free and stick to your guns for at least three weeks. You will notice a major change in digestion, energy, vitality, immunity and overall positive feelings. Glyphosate has only been on this planet since Monsanto patented it as "Roundup" in 1973. This chemical herbicide goes by 32 or more tradenames and, now that the patent protection expired in 2000, is made by nine chemical companies -- most of whom, not coincidentally, are also in the drug business. Over 200 million pounds of it is used all over the world every year. The original use of glyphosate was to prevent weeds. Somewhere along the way, it was discovered that a pre-harvest spraying of glyphosate directly onto the crops made for an easier harvest, as it desiccates the material. WHEAT and CANE SUGAR are the two foods most often treated in this manner. What foods have wheat and sugar? Take a walk down the cereal aisle, the one with the pretty boxes that beckon to your children. See the cookies, crackers, breads, cakes -- all those things that have gluten -- as well as a double dose of glyphosate. Nice. What Monsanto did not disclose is that the bacteria in a human gut all have shikimate pathways. This is huge. Without gut bacteria, people become very ill and malnourished, develop antibodies to their own organs, mentally depressed, full of yeast and other pathogenic bacteria, and mineral deficient. Nerve transmission fails and energy is gone. The mind cannot focus. Children get labeled at school as having behavior problems. Adults think they are crazy and run to the Prozac. This could only have happened if the scientists at Monsanto and FDA are malevolent and the worst sort of facinorous psychopaths. They are not nice guys, not ignorant of their deeds; let us call them what they are: Murderers. I submit: Maybe you do not have gluten intolerance; that is a symptom. You have been poisoned by glyphosate, therefore you have GLYPHOSATE POISONING. The first step to healing is calling something what it is. Using euphemisms and hiding wickedness behind medicalese and nebulous diagnoses does no one any good. The guilty go free and the victims are denied proper treatment and timely justice.